This weekend saw Disney’s most recent live-action remake of one of their animated classics, this time 1941’s Dumbo. Personally, I have mixed feelings on Disney’s trend of remaking their movies because the results have been mixed in terms of quality and creativity. 2015’s Cinderella is my favorite so far because it actually offered something new that wasn’t copy-pasted from the animated film. 2016’s The Jungle Book and Pete’s Dragon succeeded for similar reasons, while 2017’s Beauty and the Beast raked in millions as a glorified shot-for-shot recreation of the classic original. When Disney announced that Tim Burton would be returning to the remake game (after his 2010 Alice in Wonderland), I had concerns, but it certainly wasn’t their worst idea. I didn’t hate his Alice remake, although I didn’t exactly love it either, and I prefer James Bobbin’s sequel, Alice: Through the Looking Glass. The original Dumbo also contains a couple of sequences that I could definitely imagine inspiring Burton, like the “Pink Elephants on Parade” scene. The animated film runs a measly 64 minutes, so there’s more that can be done to flesh out the concept. Let’s take a look at what Burton and crew were able to achieve. Dumbo opens in a way reminiscent of, but not copying, the original film’s beginning. We’re introduced to the performers of the Medici Brothers’ Circus, and a map tracks the troupe’s bookings. The circus and its members have been struggling financially, and Max Medici (Danny DeVito) is looking for the next big thing to bring crowds back in. 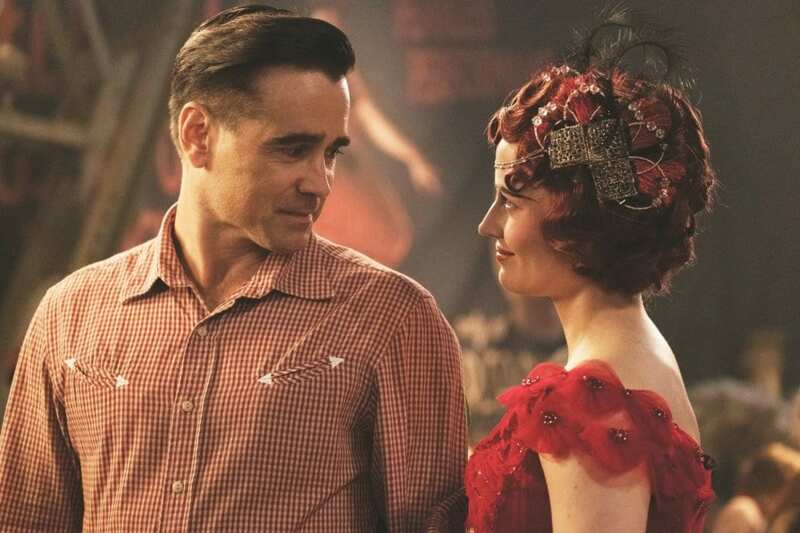 The circus’ horse-riding cowboy superstar Holt Farrier (Colin Farrell) returns from the Great War to find his children (Nico Parker and Finley Hobbins) depressed, his wife dead, and his horses gone. Max does have a job for Holt, but it’s definitely a demotion from being the show’s star: he’s to care for the circus’ elephants, especially a new one named Mrs. Jumbo. Before long, Mrs. Jumbo gives birth to the eponymous pachyderm, and the real adventure begins. Similarly to the animated film, Dumbo is mocked for his appearance until he learns to use his ears to fly. Mrs. Jumbo is labeled a mad elephant after protecting Dumbo from some bullying humans and is subsequently sent away. After word spreads of the miracle flying elephant, haughty business mogul V. A. Vandevere (Michael Keaton) arrives with a life-changing proposition for everyone at the Medici Brothers’ Circus. As with many Tim Burton films, Dumbo has an impressive cast full of faces I love seeing in anything. Colin Farrell’s Holt is a confused, lonely dad who just wants to do right by his family. Farrell absolutely nails this character, and his accent is really good too. Danny DeVito is lovable as always, but his character isn’t very interesting or dynamic. He is likable, though, and that’s good enough for what his part is. Michael Keaton is a personal favorite, and I’d gladly watch him read the phone book; I don’t think it’s any huge surprise that Vandevere is the villain, but I’m tired of Disney plot-twist villains, and he’s delicious in the role. Eva Green is another favorite of mine, and I really wish she’d appear in more movies and series. She portrays Colette Marchant, utilizing her natural French accent as a Parisian trapeze artist roped into the limelight by Vandevere. Alan Arkin and Roshan Seth (Gandhi, Indiana Jones and the Temple of Doom) have enjoyable if small roles as a potential financier being wooed by Vandevere and Pramesh Singh, a carny with a special connection to the animals. Nico Parker and Finley Hobbins do a pretty good job as Holt’s children, Milly and Joe, the former shining in particular. There’s little surprise in the girl’s talent; her parents are actress Thandie Newton (Westworld) and director Ol Parker (The Best Exotic Marigold Hotel). Another Burton staple returns in the form of Danny Elfman’s musical score; overall, it’s serviceable, utilizing motifs from the songs and score of the original film. The classic songs such as “Pink Elephants on Parade” and “Baby Mine” are present, but executed in new, slightly different ways. This was a great idea; unlike some of the studio’s other remakes, Dumbo knows exactly how much to refer back to its source material and where to take the reins to create a new experience. That philosophy extends to the presence of new characters, the omission of Timothy (I’m not sure how they could have worked him into this version anyway) and the general tone of the film. This just about goes without saying, but Dumbo is a visual feast; the special effects are impressive and consistently believable throughout, and the costumes in Dumbo are to die for. Eva Green, in particular, has several costumes and wigs that you can get lost in, and Keaton looks great as well. The film is bright and colorful, and it employs several interesting camera angles and perspectives, particularly when showing us the world through the protagonist’s eyes. The most surprising element of Dumbo for me is Vandevere and Dreamland, his carnival/circus/amusement park. As I mentioned, Keaton does a great job, as always, and is very enjoyable in the role. Even aside from that, though, Burton has done something truly interesting in that he’s using Disney’s money, their brand, and one of their classic films to criticize their business strategies. While I consider myself a huge fan of Disney’s history and many of their properties, I have to side with Tim on this one. Vandevere is always trying to make a buck at the risk of the safety of his employees and has no qualms about taking something unique and corporatizing it for profit. Dreamland is reminiscent of many such attractions, but let’s be real here: the design of the park, the way Vandevere presents it, and the film’s framing of it instantly remind one of Disney World. Vandevere himself is at first shown as an optimist and an innovator, telling Milly that “anything is possible” and overruling her own father’s authority over her. I find this whole aspect of the story fascinating given Burton’s complicated history with the Disney company; his career began there as an animator, but his work for films like The Black Cauldron was deemed too weird and scary. Ironically enough, a few years later Disney would produce Burton’s brainchild The Nightmare Before Christmas under their less family-oriented Touchstone label. Even then, they didn’t want the company name associated with something so dark and offbeat. Of course, now the Disney name is all over the DVDs, Jack Skellington dolls, and more since it turned out to be a cult classic. Even more chilling is the similarity between how Vandevere treats some of the carnies and the Disney-20th Century Fox merger going on right now, resulting in lay-offs of Fox employees. Scary. I think it’s nothing short of miraculous that Dumbo made it to theaters in this form; you almost have to wonder if anyone at Disney watched it before it went out. That being said, I do have a couple of gripes with Disney’s latest offering. We learn just enough about some of the characters to be interested in them, but not enough to really know or understand them. Vandevere makes a remark in the film that Medici is looking for something, and at the end, this issue is resolved, but nothing is said or done with that idea otherwise. As I mentioned, DeVito’s character is sidelined somewhat in favor or Farrell, Green, Keaton, and others; that’s absolutely fine, but why give him a motivation and a conflict resolution if we don’t get anything in-between? I feel the same way about Singh; he gets a happy ending, but I feel like they give us enough of a taste of this character to want more. It feels like Burton had more complex ideas behind some of his background characters and was forced to economize. It doesn’t ruin the film, it just feels awkward when Dumbo creates these set-ups, and we forget about them until the very ending pay-offs. There are also some sappy moments and awkward character interactions in Dumbo, but thankfully they’re near the beginning, at least for the most part. Overall, I’m really pleased with Dumbo, and it might be my favorite of the Disney remakes since Cinderella. 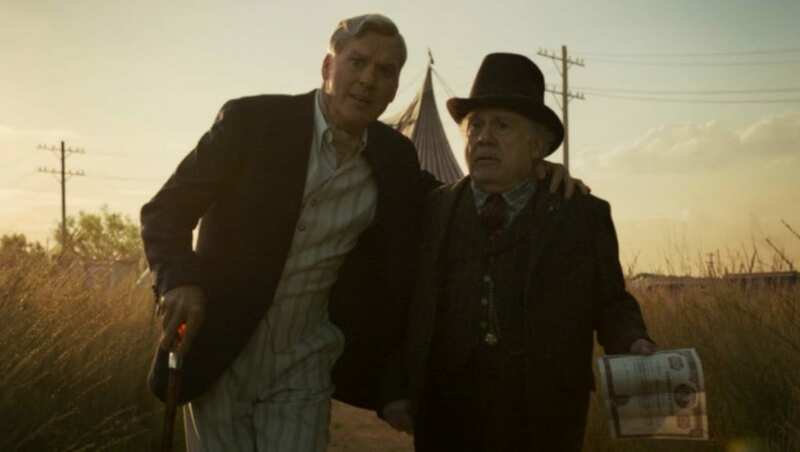 Burton intersperses songs, classic imagery, and ideas from the original film throughout his remake, but this new Dumbo has an identity all its own. It never feels like he leans too much on his own formula, or on the animated movie to carry the story. The visuals are lush and colorful, the cast pitch-perfect, and the message surprisingly nuanced. The weirdo/outsider theme involved in so many Burton films is present here in the makeshift family of the Medici Circus, and I think there’s a lot in this movie that Burton and Disney fans alike can appreciate. The ending of Dumbo surprised me in some of the best ways. There are problems with some of the side characters, and there are some awkward moments, but I enjoyed Dumbo more than I expected and I prefer it to Tim Burton’s Alice in Wonderland and much of his recent work. This new Dumbo has an identity all its own. It never feels like he leans too much on his own formula, or on the animated movie to carry the story. The visuals are lush and colorful, the cast pitch-perfect, and the message surprisingly nuanced. The weirdo/outsider theme involved in so many Burton films is present here in the makeshift family of the Medici Circus, and I think there’s a lot in this movie that Burton and Disney fans alike can appreciate. The ending of Dumbo surprised me in some of the best ways. There are problems with some of the side characters, and there are some awkward moments, but I enjoyed Dumbo more than I expected and I prefer it to Tim Burton’s Alice in Wonderland and much of his recent work.